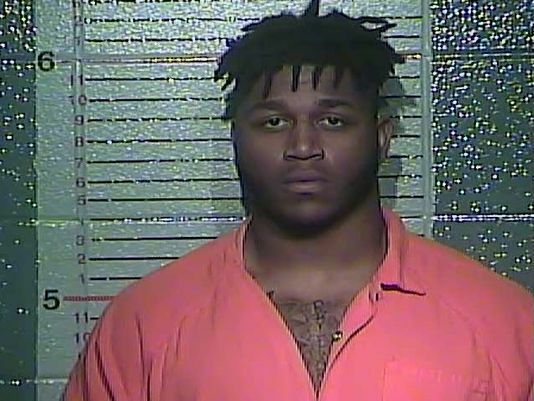 Shirts With Random Triangles: Kentucky LB Jason Hatcher Arrested On Marijuana-Related Charges, Dismissed From Team. The real story is that Hatcher had a run in with the law early Monday morning. According to The Lexington Courier-Journal, Hatcher was pulled over for speeding by Franklin County, Ky. police. The arresting officer reportedly smelled marijuana in the vehicle. "When Hatcher was pulled over for speeding Monday morning after being clocked at 81 mph in an 70 mph zone on Interstate-64, the officer reported smelling marijuana in the car, according to Franklin Country Sheriff Pat Melton. As the officer prepared to search the car he spotted Hatcher using his cell phone light to look through his own vehicle. The officer then found one quarter of a pound of marijuana stuffed down Hatcher's pants and another three quarters of a pound of marijuana in the passenger floor board in a vacuum-sealed bag, Melton said." Hatcher faces charges of speeding, possession of drug paraphernalia, trafficking in marijuana, and tampering with physical evidence. The trafficking and evidence tampering charges are Class D felonies in Kentucky. Hatcher has a prior arrest on marijuana-related charges stemming from a May, 2014 incident in Louisville Ky. He and Louisville wide receiver James Quick were arrested after police found both were in possession of marijuana while responding to complaints of the smell of marijuana coming from Quick's apartment on the University of Louisville's campus. Charge was later dismissed after Hatcher completed what was described as a "marijuana education course."